Discover some of South America's greatest cities—Rio de Janeiro, Buenos Aires, and Lima—and some of its most spectacular sites and scenic areas on this South America tour to Brazil, Argentina, and Peru. 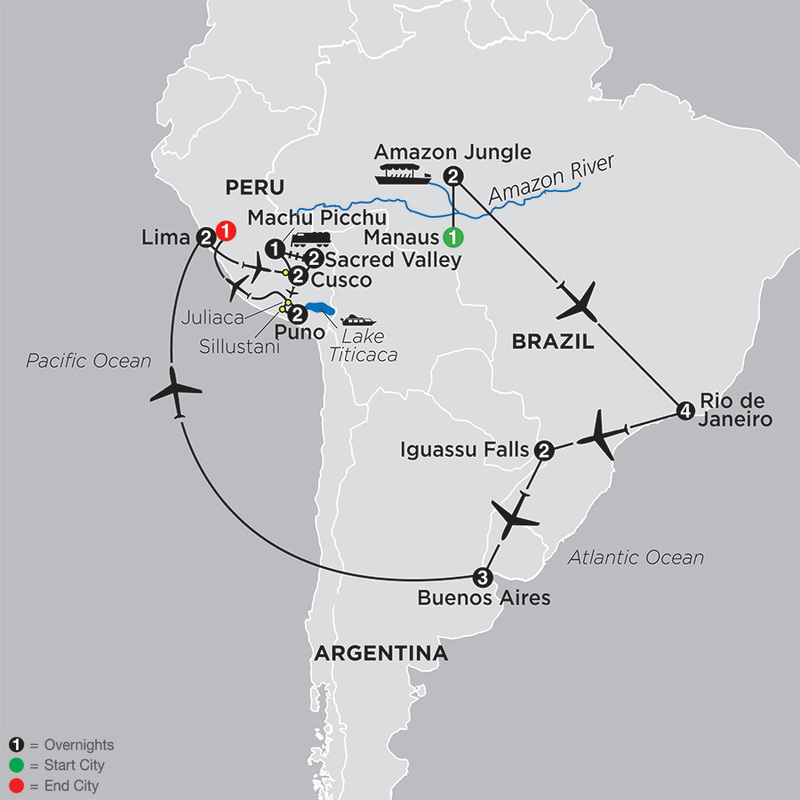 You'll overnight in Manaus, the Amazon Jungle, Rio de Janeiro, Iguassu Falls, Buenos Aires, Lima, the Sacred Valley, Machu Picchu, Cusco, and Lake Titicaca. Guided sightseeing in each of the cities features the must-see sites. 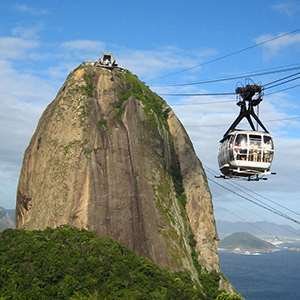 In Rio, take the cog railway to the summit of Corcovado to view the famous Christ the Redeemer statue. Your time in Buenos Aires includes a visit to Recoleta Cemetery, burial place for Eva Peron, and a Tango show. In Lima, your sightseeing focuses on the city's colonial heritage. Highlights of this South America tour include Iguassu Falls, where you’ll hear the thundering roar from both the Brazilian and Argentine sides, be amazed at the brilliant rainbows created by the clouds of spray, and stand in awe as you witness these 275 falls spanning nearly two miles! You’ll also be amazed at Machu Picchu, set in a majestic mountainside with ruins dating back to the 15th century. Glimpse the ancient history and culture as you enjoy this stunning and mystical place. Visit the Inca ruins at Ollantaytambo and the Temple of Sacsayhuaman, with stones weighing up to 350 tons. Time in Peru's Lake Titicaca, a lake of floating islands maintained over centuries by the local Indians, gives you a chance to experience the world's highest navigable lake and to learn about local practices. You’ll also spend time in Brazil’s Amazon, where you’ll cruise on the river, take Naturalist-guided walks, visit a local village, and marvel at the flora and fauna that thrive in the Amazon. All of this and more are included on this South America tour designed for the value-minded traveler who wants to experience it all! Welcome to spectacular Rio de Janeiro, host of the 2016 Summer Olympics! After arrival, settle into your hotel and meet your Tour Director, who will have pointers for your free time exploration. Guided sightseeing begins with a drive along Rio’s famed Leblon, Ipanema, and Copacabana beaches. Take the cog railway 2,300 feet up to the summit of CORCOVADO to view the Christ the Redeemer statue and enjoy 360-degree views of Guanabara Bay and the bustling city below. Your afternoon is free to explore. Perhaps join an optional excursion to a favela for a glimpse into the life of these colorful communities that nearly 20% of the people call home. 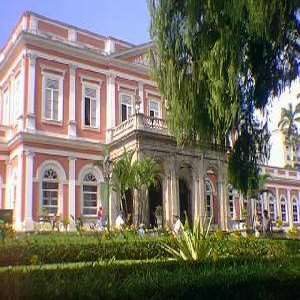 A free day in Rio allows you to relax on one of the beaches or take an optional excursion to the historic city of Petropolis. Fly to Iguassu Falls, one of the greatest natural wonders of the world. Journey to the Brazilian side of the FALLS to see the 275 waterfalls cascading over a precipice almost two miles wide and 250 feet deep. Walk into Devil’s Throat Canyon, where clouds of mist, a thundering roar, and 180-degree rainbows surround you—an unforgettable experience! Cross the border for a visit to the Argentine side of the FALLS. Begin with a short ride on the open-air ECOLOGICAL JUNGLE TRAIN through the surrounding rainforest. A series of boardwalks takes you above the falls for a look over the edge to see the water crashing down below into the Devil’s Throat. 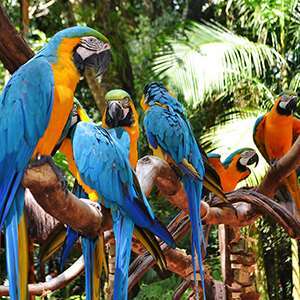 This afternoon, you may opt to visit the Bird Park, home to many species of endemic birds as well as flora from the area. Fly to Buenos Aires, Argentina’s cosmopolitan capital. After settling into your hotel, an orientation tour familiarizes you with the “Paris of South America” and its wide boulevards, outdoor cafés, and charming shops. Morning sightseeing with a Local Guide focuses on the city’s well-known landmarks, including the Colon Opera House and Plaza de Mayo, site of La Casa Rosada (the President’s Pink House), and Metropolitan Cathedral. Also, visit La Boca and San Telmo, one of Buenos Aires’ oldest neighborhoods, and RECOLETA CEMETERY, where Eva Perón is buried. End your day with an Argentinean meal, followed by a sensuous TANGO SHOW highlighting this alluring dance so popular here. 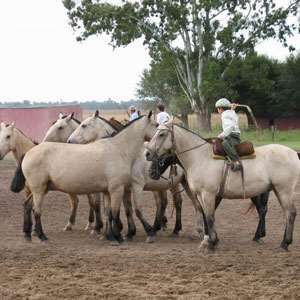 Today is free for independent activities, or you can take an optional excursion to visit a local estancia (ranch) to experience the life of the gauchos (cowboys) on a traditional Argentine ranch complete with a barbecue lunch. Board a flight for Lima, Peru. Heralded as the “City of Kings” by Spanish conquistadors, Lima still carries vestiges of its opulent past with its colonial buildings and world-class museums. Sightseeing today focuses on Lima’s colonial heritage. Founded in 1535, Lima was once the capital of Spain’s South American Empire. Visit the baroque 11th-century SAN FRANCISCO MONASTERY, with Spanish and Moorish architecture throughout. Continue to Plaza Mayor, where you will see the Government Palace that houses the presidential palace and was once the home of Francisco Pizarro, founder of Lima and conqueror of Peru. Nearby, see the cathedral where Pizarro’s remains are buried. The remainder of your day is free to explore on your own. 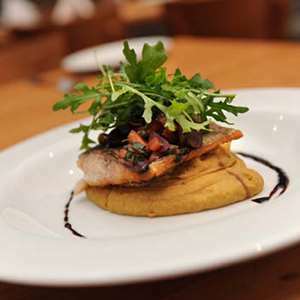 Enjoy dinner at a local restaurant this evening. Fly to Cusco high in the Andes and, upon arrival, descend into the Sacred Valley of the Incas. Stop at AWANAKANCHA and learn about the importance of camelids (llama, vicuña, alpaca, and guanaco) for Inca cultures. See them up close and learn how their coats are transformed into colorful weaving fibers that are then used in ancient weaving techniques still in use today. Continue to PISAC, a charming village with a famous INDIAN MARKET, where you have plenty of time to browse the many colorful stalls selling handicrafts ranging from alpaca sweaters and blankets to painted vases and sterling silver. Later, arrive at your hotel, nestled in the peaceful Sacred Valley. Start the day with a visit to OLLANTAYTAMBO and the Inca ruins of the same name. Explore the archaeological site that was the scene of the Inca resistance during the Spanish conquest—the only place ever to resist Spanish attacks. You will see how the temple area at the top of the terraces was the perfect defensive stronghold. Next, visit a LOCAL HOME to experience life in this traditional village, which has been remarkably well preserved. Then, visit the SEMINARIO CERAMICS WORKSHOP to learn about Peruvian ancient and modern art. End your day at a local chicheria for a taste of a typical Inca drink in Peru called chicha. Board the VISTADOME train that cuts a path through the picturesque Urubamba Valley bound for Aguas Calientes, the quaint town closest to the “Lost City of the Incas.” Ascend the mountainside through tropical forest to the sacred refuge of MACHU PICCHU. Your guide recounts the many accomplishments of the Incas as you tour the terraced ruins dating back to the 15th century. Abandonded when the Inca Empire fell to the Spanish, these remarkable ruins remained undiscovered for nearly 400 years. For this reason, many of the mysteries surrounding Machu Picchu remain to this day. Embark on a guided sightseeing tour of Cusco that focuses on the city that was once the political, military, and cultural epicenter of the Incas. In fact, Inca foundations can still be found in Cusco, with the Spanish baroque structures built on top. Visit the SANTO DOMINGO MONASTERY, where these two forms of architecture are melded together with the temple of both cultures atop one another. Also, see the CATHEDRAL in the Plaza de Armas before a visit to the TEMPLE OF SACSAYHUAMAN. Some of the best examples of Inca masonry can be found at this fortress, where stones weighing up to 350 tons are pieced together to form a complex that could house up to 10,000 men. Learn about the ceremonies and battles that took place here on your tour. Also, see the ruins of Kenko and Puca Pucara before returning to Cusco. Experience fascinating LAKE TITICACA today as you embark on a motorboat tour of the highest navigable lake in the world and its manmade islands. On TAQUILE ISLAND, see how the local people integrate their Inca and Spanish past. Continue to the UROS FLOATING ISLANDS, a group of approximately 40 artificially made islands. Learn how the Uros Indians construct their islands, homes, boats, and many other resources completely of tortora reed, a centuries-old practice. 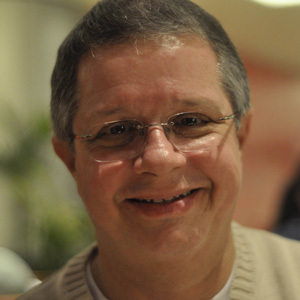 Enjoy a farewell dinner hosted by your Tour Director this evening. En route to Juliaca, stop at the pre-Incan burial grounds of SILLUSTANI. See the above-ground tombs, chullpas, in which the Aymara Indians buried their high priests. You will be welcomed into one of the locals’ HOMES for an inside look at life here. Fly to Lima and transfer to your hotel.